the light is all: Photo of the day: Slide! Slide!, a photo by The Bacher Family on Flickr. The difference between a good softball player and a great one is the art of the slide. 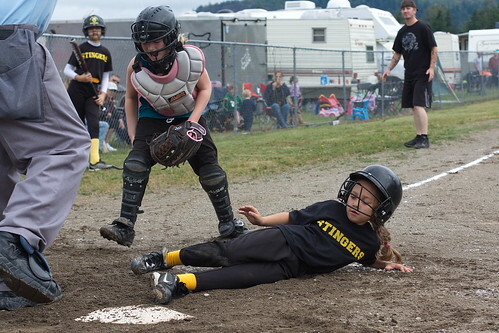 Will she make it under the reaching arm of the catcher to touch home plate before being tagged herself? She's midway into the execution of the slide. 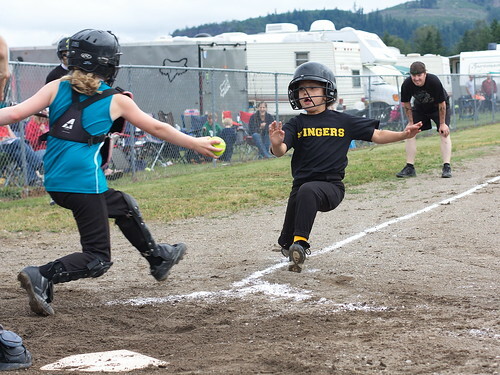 Her eyes are on the catcher, who's in mid launch toward the runner. The coach is in the background watching with bated breath. What a great moment! What do you think? Is she safe... or out?